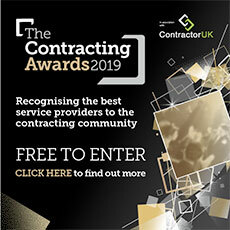 The impossible-for-contractors-to-miss ‘Off-payroll working in the private sector’ consultation, issued on May 18th, seems to have a fundamental flaw in its primary assertion, writes Helen Christopher, operations director at Orange Genie. HMRC continues to assume (at 1.2 of the document) that “two people doing the same job, in the same way” should pay the same tax irrespective of how they operate. The tax authority once again makes no allowance in its thinking for genuine contractors operating their own business, prepared to take risks and for whom different rewards should be available as a result. Despite all of the contractor industry’s rhetoric and comment during and after the rollout of the April 2017 public sector rules, HMRC -- you have not listened. The consultation states that “the government considers extension of similar reforms to the private sector to be the lead option”, based on HMRC’s evidence that suggests the changes have been a complete success. Why HMRC, do you insist on seeing this as a success? So it seems inevitable that the rules will be rolled out to the private sector but HMRC, take note -- you need to learn a lot of lessons from last year. There are many genuine reasons why workers choose to operate through a PSC (tax not being the lead one, HMRC itself has found), and these risk-takers and entrepreneurs should be free to structure their business accordingly. The BBC, a public sector body, are one such organisation now under the scrutiny of the courts, as appeals are made against tax assessments made on presenters forced into contracts that they perhaps didn’t necessarily want. How can HMRC not be embarrassed by this situation? We have seen how hard it has been for the public sector bodies to take on board these changes, and they were directly under the guidance of government and HMRC. The net result was blanket IR35 status decisions made by public sector departments which don’t have the skill or resource to be able to make the “reasonable” individual assessments required of them under the April 2017 legislation. Many of our clients have found themselves at the mercy of such decisions from organisations such as Transport for London, the MoD and, ironically, HMRC. How then are thousands of individual businesses and agencies to be educated in the reform to a level that they themselves can deliver competent IR35 decisions? How HMRC, will you even make sure that all relevant parties are aware of their responsibilities? These are questions HMRC that you must answer. If not, your suggested reforms will become as unworkable as you suggest the current IR35 regime is. Understand please HMRC -- CEST does not work! HMRC, you believe that public authorities have been able to make “quick and easy assessments” of IR35 status using your CEST tool, believing it to have been developed with tax specialists, employment agencies and contractors themselves. HMRC, you should think again. Try reflecting some of the last 15 years case law facts in the CEST tool and you won’t necessarily get the same answer as a highly eminent judge gave. Let’s not forget that one of the three key principles of IR35 status determinations is Mutuality of Obligation, relied on most recently in the Jensal Software Ltd V Commissions for HMRC. The judgment in the case was published on 16th May, just two days before the consultation was issued. How HMRC, can the CEST tool be relied upon to provide an IR35 status decisions when it ignores one of the “three irreducible minimums” of an employment relationship, and when you have still not issued your statement in relation to a request to support your decision to omit Mutuality from the tool? Before ploughing on HMRC, you need to address the tool’s inadequacies. Since April 2017, the launch of imaginative and more complex tax avoidance schemes in the market has been prolific. HMRC, you may believe that you have increased the number of workers paying PAYE, but you have also driven many thousands more into the hands of unscrupulous providers who have sought to minimise the impact of the public sector changes by using loan schemes and intermediary arrangements. HMRC, you should be aware that rather than being able to consolidate and target compliance work through your suggested changes, you may well actually increase it with a need to tackle these illegal schemes. Off-payroll working in the public sector changed quickly. The new rules were complicated and unusual. Understanding was poor and the responsibility for IR35 assessments moved to the ‘fee-payer,’ who in many cases was ill-equipped to make the decision. HMRC, we urge you to learn from this experience and to consider a thorough review of how these rules are to be applied, bearing in mind the education and changes that will need to take place. With Brexit looming in 2019, any changes to the private sector should be delayed to 2020 -- at the earliest. While there is an air of inevitability about the consultation’s proposal passing into law, the contractor industry should not stop fighting. HMRC may not appear to care about the additional costs and administrative burdens these changes will bring, but we have to try to be heard. We have until August 10th to comment on the consultation and we must continue to try to get HMRC to understand our perspective and experience. In the meantime, our business will continue to support genuine contractors in gathering data and evidence to support their IR35 status, so that they are not adversely affected by these rules.